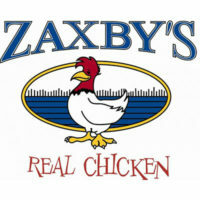 Zaxby’s is an American-born restaurant chain founded by Zach McLeroy and Tony Townley. These childhood friends dreamed of having a local joint that served good chicken and fun times. Today, Zaxby’s boasts stores located in over 15 states, with more to come soon. This cross between fast food and casual dining is all about chicken. They offer a variety of dishes featuring chicken, with the most popular being their made-upon-order chicken fingers and buffalo wings meals. Their menu is very all-American, and a top-notcher in the list of comfort food. Aside from their well-known chicken and various choices of partner dips, Zaxby’s also sells salads for the health-conscious and sandwich meals for those on the go. To add a little more to your Zaxby’s meal, you can also choose one of their “Zappetizers” – their spicy fried mushrooms stand out from the typical roster of quick snacks! Or cap off your savory, heartwarming meal with a sweet milkshake, cookie, or brownie. Luckily, the goodness of Zaxby’s can be brought into your home for the next birthday party or office for a corporate lunch. One of the best things about ordering catering from Zaxby’s is that their site provides nutritional information for every item on their menu. Maybe you know one or more people on the guest list that are on a diet. Maybe you just want to ensure everyone gets high protein meals with minimal amounts of fat. Whatever the reason, Zaxby’s nutrition guide is a life-saver and makes ordering a piece of cake. Another fun pro is that Zaxby’s food is practically perfect for large parties. Chicken fingers and wings are incredibly party friendly as they’re easy to eat and can come in a range of flavors to suit every taste. Zaxby’s understands this and offers huge platters of their famous chicken in their catering menu. To go with the chicken, one can choose from toast, chips, and salads as a side. Or, if you want an even more stress-free experience, simply order a number of their boxed lunches! These meals contain everything needed to fill your stomach in one convenient container, and are available with all of Zaxby’s best-sellers. Lastly, for those don’t or can’t eat chicken, there are vegetarian options available. Make sure to ask for the chicken-free version of any salad when ordering. It’s easy to order catering from Zaxby’s. Their full menu is online, as well as a list of all their stores. Just input your location and you’ll be able to see the Zaxby’s branches nearest you that offer online ordering. Upon selecting the branch to order from, you’ll be taken to their menu. Both the prices and the estimated number of people that one dish can feed are clearly stated on the webpage. Once you’ve selected all the chicken, dip, etc. that you want, go to your cart and check out. Be sure to specify the exact date and time you want to receive your Zaxby’s! Please note that it’s recommended to fill up an order form at least a day before your event to allow your local Zaxby’s enough prep time, especially for large order. Their most popular items for catering are their Chicken Fingerz™ Platter and their Traditional Zampler Platter, which are both perfect for large groups. Zaxby’s is one of the more affordable options when it comes to chicken-focused catering. All their menu items are reasonably priced and come in generous servings. The food is delivered steaming hot and on time to your location. Some customers report having their food actually arrive early, which could cause it to become cold if kept waiting too long. To compensate for this possible but rare error, double and triple check the time agreed upon with your local Zaxby’s.